The classic defenseless horror style games force players to be constantly on the look out, checking over their shoulders, and eventually running away from their predators with no hope other than to get away or hide. It's a type of game that never gets old for me while others would prefer a way to defend themselves. 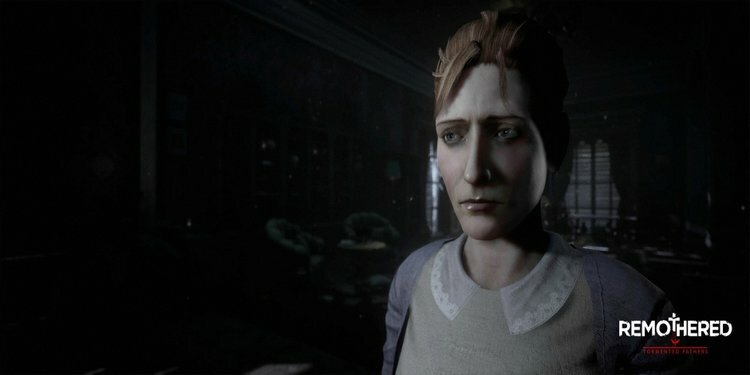 Darril Arts teams up with development team Stormind Games to meet us halfway and give us a mostly defenseless horror title, Remothered: Tormented Fathers. While you are trapped within the mansion and must sneak around in order not to be heard, you can grab various weapons around that will be able to let you escape when grabbed. Sure you can't actually attack them, but you aren't left wide open at all times either. Rosemary Reed is a 35-year-old woman who is keen to investigate the disappearance of a girl named Celeste. Told to have gone missing, she reaches Richard Felton's house in order to investigate. After finding being escorted by Gloria, the nurse who takes care of Mr. Felton who is affected by a mysterious disease, she quickly finds that she will not be able to use words to learn the truth. Taking drastic measures to uncover the secrets within the house, Rosemary finds herself searching inside a home she isn't welcome in and needs to find a way to escape. The game starts off more cinematically than anything. You get the chance to try out some of the controls as you enter the house the first time, in hopes of aggressively talking the truth out of Mr. Felton. It quickly becomes a stealth horror after that fails, surprisingly, and you are inside the house; this time, unwelcomed. In hopes of finding out the truth of what happened to Celeste, you are going to have to start searching the house for clues. You can pick up a few distraction items and a weapon along the way. Your main icons you will see is a puzzle piece with a line through it, a gold puzzle piece, weapon, distraction, magnifying glass and locked. These are the indicators that will help you find out what is important, where you need to find the tool for a specific puzzle section, and how to equip yourself for when you get caught. Being a full map puzzle game, the pieces you need can be anywhere within the house and in any order. It is up to you to figure out where these pieces are, what they are to be used for, and how that action can be helpful to you. There are clues everywhere as you go along, so don't forget to read notes and newspapers that you pass for special details to the story and hints as to what you need to continue. My only tip for you here is don't try and follow the given objective list in order - you can't. It is literally impossible. When you are caught by either running around instead of walking or crouching, which causes noise that they can hear just like you can hear them, or just making a wrong turn at the wrong time you will have to find somewhere to hide. Not only that, you will have to put some distance between you and the current attacker. I found doors are the best way to put some distance between them, but they are relentless until you successfully hide from them. If you do happen to get grabbed by your attacker, you must have a weapon already on you to escape. If you don't, that is an instant death with a slow animation for you to watch. Always make sure you are prepared and if you use a weapon to escape, make you sure the first thing you do is grab another one from somewhere. Those distraction items you have been picking up can also be used for more than just throwing to make a sound somewhere else as well. If you throw any of the items directly at the antagonist, they will react with a short pause to recover which gives you more time to get away safely and put plenty of distance between you. Not all distraction items work the same, so be aware of what you have on you at all times. 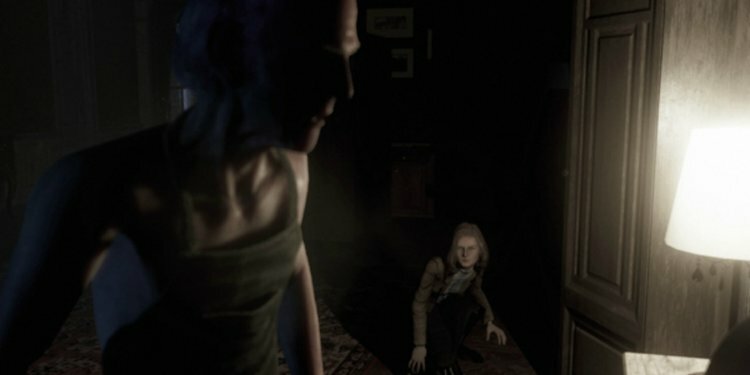 Remothered features semi-realistic graphics that show an unstable home inhabited with the insane and ill. From the characters to the mixture of sections within the house, featuring both neat and clean areas as well as unkempt and abandoned ones, you can really get caught up in the intense moments around every corner. My favorite aspect is The Red Nun's weapon that I call the "spine sword." It looks as threatening as that particular antagonist really is! The music that plays is soft which is perfect for you to listen to the footsteps and ramblings from the antagonists as they lurk throughout the house. With your goal being to avoid them as you complete your objectives, this plays a big role. With proper headphones, you will be able to hear whether they are in the room next door, down the hall, or even upstairs. When you are caught, the music quickly becomes intense and makes the danger seem even more real than it even is in the game. Other than wanting to get through the game faster or try and find some clues that you may have passed up before, there isn't much reason to go back through the game. There is only one ending and the story is pretty linear. I don't feel that a few of the plot twists were told as clear as they could have. They used a few notes that were pretty long and with a multi-paragraph note, the details should be clearer. I did end up asking the developers about a couple of aspects and their answers told me that even some of the things I thought were clearly told turned out to be another thing. An invigorating game of hide-and-seek horror that will keep you wondering whats going to happen next. Remothered: Tormented Fathers is a great horror title that will have you on the edge of your seat and you explore the depths of both the house and the truth. A definite title that any fan of horror games should add to their library.